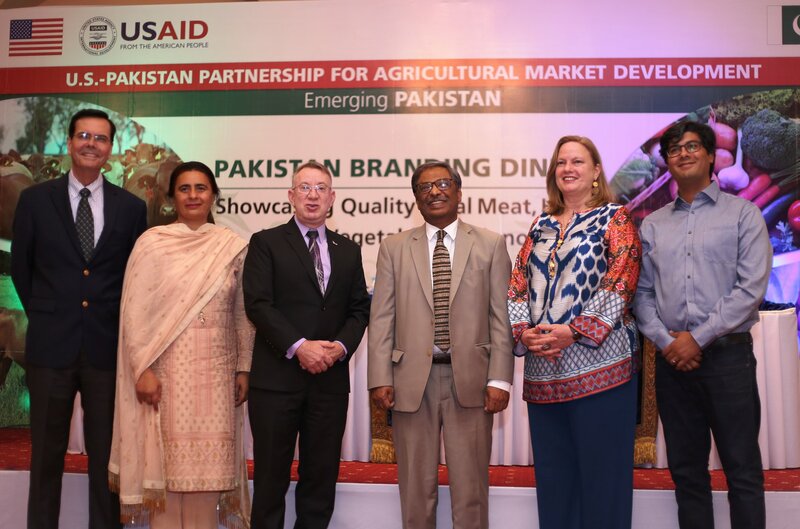 The US-Pakistan Partnership for Pakistan Agricultural Market Development (AMD) hosted a dinner in Islamabad on April 6, 2018, to showcase Pakistan’s halal meat, high-value, off-season vegetables, and citrus. The event was attended by over 100 participants representing the private sector, research institutes, academia, trade groups, and others. Dignitaries including USAID Mission Director Jerry Bisson and Pakistan Agricultural Research Council (PARC) Chairman Dr. Yusuf Zafar attended the dinner. AMD is a USAID-sponsored project which was launched in 2015 to support the development of commercial agriculture in Pakistan. JAA provides international market linkages experience to support the implementation of AMD in all of its target sectors. JAA also works closely with its partners to assist in expanding export market opportunities, including through promotional events such as this dinner.